I was reading in one of my devotional books, “Streams in the Desert”, last week and this jewel jumped off the page. Mainly because, not only was it a powerful devotion, but it was spot on for what we have been feeling and going through –here in language school. “Oh, thou foolish piece of wood, without these rifts and holes thou wouldst be only a mere stick forever–a bit of hard black ebony with no power to make music or to be of any use. These rifts that I am making, which seem to be destroying thee, will change thee into a flute, and thy sweet music then shall charm the souls of men. My cutting thee is the making of thee, for then thou shalt be precious and valuable, and a blessing in the world”. I was stunned. My eyes filled and I wept with gratitude and a strong repentant heart for crying out while being that stick of wood, and complaining for all the “shaping” going on. This school is rightly named. Chisel. Every time I have entered a sentence in my Spanish Dictionary and used the name of the school, Cincel, the word “chisel” comes up, since that is exactly what Cincel means in Spanish. Chisel. We have all felt the blows of the hammer as well as the knife on the stick of wood. But you know, in our hearts we all long to be useful for the Master. The One who called us surely has a plan and purpose for every splinter of whittling, and gouging out the places that have so desperately needed work. On an encouraging note, we can carry on a conversation with others now with a little more confidence. I walk down to the beauty salon and talk with the young ladies there about once every couple of weeks. It’s where I got my FIRST haircut after chemo! I was so excited, and I have made two new “Tica” friends in the process. One of them even gave me her phone number so that I could practice my Spanish. And another one made me some flashcards this week to help with my “beauty salon lingo”. We have prayed for you all during all these weather episodes and the various things that have been going on. Last week, as I was sitting here typing, we had a small earth tremor that shook the bed that I was sitting on. Everything in this world is subject to change. In the very next minute–your life or my life could change. We have no promise of tomorrow, we have today–and it’s up to us to use it for the Master, or squander it away. This weekend, we were privileged to be able to go with dear friends, about an hour out of the city to the mountain area and just relax for the morning. We stood at a fence and just viewed the valley and surrounding mountains and we breathed. It felt good. I cannot quiet describe the feeling–but it was needed and necessary. And best of all….we spent time with friends of like mind and faith, who also left home, family, friends, and jobs they loved, to follow into the unknown, our Jesus. While talking with the young lady at the little coffee shop–we asked her about the coffee harvest season. The process from the time of planting, to harvest, to roasting, grinding all the way to your favorite cup of coffee. Something we learned by tasting: a good cup of coffee does not need sugar or cream. That had to be proven to me. It is something I will be excited to share with my family when we get home in December. A hot cup of the best Costa Rican coffee. She was so passionate about her job–her love of coffee and all things Costa Rica came through with every word she shared. That’s what I want others to feel and hear in us as we share about Jesus in our new language. I want them to feel the passion in our hearts–hear it in our voices and see it on our faces. I want them to desire to know Him and share His love with their own families. That’s one thing we need you to add to your prayer list for us: Our ability to speak fluently as possible and to be able to share without reservation or hesitation. Can I share with you a list of daily prayer needs? Sunday: Pray for our spiritual lives. Our spiritual growth, fellowship with local believers, integrity, reliability, and consistency. Jeff was blessed with a lunch a couple of weeks ago from an invitation from a “Tico” friend he met at church. What a joy! Pray for more connections and development of relationships that will last long after we leave. Monday: Pray for our personal lives. For our marriage. You have no idea the attacks on marriages and families here. I won’t go into the details–suffice it to say, prayer is necessary to the mission. Pray for our families back home, their health, both physical and spiritual. Pray for their protection. What is it with mama’s and daddy’s that believe we need to be there to help? God is not limited by distance. Tuesday: Communication. Adapting with generous flexibility to the culture, customs and people. The language study, clarity in speech, ability to hear and comprehend. Wednesday: Relationships. Both in the churches and the community. As well as not losing our relationships back home. That’s a fear many have as they shift their lives to another field. We have discovered through conversations with others and reading several articles for missionaries, home relationships (back in the states) almost always suffer, insomuch as they are forgotten altogether. Or at the very least, once they return, they are treated differently than when they left. We hunger for our relationships with you to either remain strong–or become even stronger. Not become weaker or disappear altogether. Thursday: Evangelism. Boldness, sensitivity, Holy Spirit led. Friday: Discipleship. That we can be mentors. Training, equipping, and encouraging others even now before we get to our field of service. May we serve Him now with fervor. Saturday: Pray for our country. Our first and home country, the United States of America, and secondly, our country of calling: Bolivia. Pray for more schools to open in Santa Cruz, relationships to develop and grow under the anointing and presence of the Holy Spirit. Help us pray now for a good, safe, and secure place to live. Often many think that because they aren’t giving monetarily, they aren’t helping. NOTHING could be further from the truth. Your prayers make the difference. We cannot do this without your prayers. I cannot say that loud or long enough. Prayer is the KEY to the KINGDOM. We received our 3rd mail here this week! (It takes about 10-14 days to reach us if there are no holidays involved.) OH Mercy I was giddy with joy! My heart overflowed with the love from the words that came from the letter–but soon found myself weeping like a child. God is SO good! Thank you. Every word meant the world. I have all three cards we’ve received taped to the wall in our bedroom. It gives me joy every time I look at them. We wish you were here. We miss you. BUT, if the LORD is willing [as my Mamo always said], or “Si Dios quiere”, we will see some of you in December! We wish we could visit every single one of you in your churches! You are greatly loved. © Angie Knight 2017. All rights reserved. All photographs © Angie Knight 2017. Have you ever seen the sign that says, “Pardon the Dust”?, in a store when it is under a remodeling, but they are still open for business? Well, that is pretty much like my life. I won’t speak for Jeff, but he would likely say the same thing. My area is really dusty these days. More so (in my mind) than the cancer days. I told a new friend this week that [language school] seemed to be designed to do what the chemo did….kill off things that doesn’t belong. Then we learned what the name of the school meant; in Spanish, cincel means to chisel. Appropriate, don’t you think? I think many of the new students have felt the sharp edge of the chisel this week. We are on day 4 of classes and I will do my best to share enough, but not too much that you get cold feet if God is speaking to your heart about missions. But in reality, if God is speaking to you….there is no amount of things I could say that would scare you away. You are in it for the long haul. Just like us. Be advised though, the enemy won’t like your decision–just as he didn’t like ours–BUT GOD HAS BEEN FAITHFUL. Through everything! There, He sets me on the block. Chisel and hammer. Dust is flying. I am noticing some things in me that needs correcting. I need to be more sensitive. Not quick to judge or assume based on what my eyes see…but to listen. He blows His holy air on the form sitting still on the block. That’s me. The tears I shed based on what I feel, the weaknesses in me, wash away more of the dust. He is working to see His image in our lives…. That was like chemo and radiation. “This might hurt, you will feel many changes, but it’s for your good”…. I think God prepared me in some ways on HOW to look at things so that I would not crumble (quite so much). I have two friends who, one just this week lost her daughter to cancer, and our cancer journey began approximately the same time, and another dear woman is losing her husband, even as I type, to cancer. And here I sit. Healthy–preparing for a work God has set before me…and I cannot explain even the least amount of the whys of that. But God’s plans are perfect and I will not try and understand HIS understanding for the Word says, it’s way beyond me. We are grateful for our monthly supporters and daily prayer partners. YOU have no idea! When I wake up in the morning–I know someone is praying! All during the week, I trust and believe someone is still believing with us that God has much in store! And their support continues so that we may journey on. Each day in class (so far) I have felt so close to tears at times because there is NO English spoken by the teachers. It is brain numbing. There, that’s the chisel again. Learn a new way. Open your heart, mind, ears and listen. Admittedly, I come home and go to the bathroom to let the tears fall. It’s a release. Don’t feel sorry for me, pray with us. We need to learn this. The culture, the language, the people. Once the tears are dry, I feel better. I learned just yesterday, the best thing to do after class is go for a long walk. So, Jeff and I walked yesterday, about 8 blocks, mostly uphill, to the grocery store to pick up a few things. Let’s look at that miracle for a minute. UP HILL. The backstory of this is I finished my last round of radiation treatments that took place every single day for 6 weeks the WEEK before we left for Costa Rica. I hardly had energy to pack. I had beloved friends, one at a time, come almost every day to lend a hand with our packing. I couldn’t even “think” clearly from the residual effects of the chemo yet, here I was packing with help, and then just a week later arriving here. The walkway to our apartment is such a steep downhill trip, that first day I was so afraid I would fall face first–but I didn’t. Sure, my knees ached afterwards, but look again at the miracle. YESTERDAY, we walked over 8 blocks one way mostly uphill. Of course I was sweating like a horse when we got there, but my mind was clear. And we did our little shopping, enjoying the air conditioned grocery store…then we had to carry our packages back…all 8 blocks. Thankfully, my precious husband carried the two stuffed bags and I carried the umbrella. It rains every day. New things. Every day something new. A new experience, a new feeling, a fresh mercy from God. We are learning now to live without the air conditioner. I have the blessing of two fans that Jeff bought after we arrived. THAT is huge to me here. I look at many things differently. The dust that is gathering at the base of this Sculptors stone will soon be blown away again, and He will look to see what else needs adjusting. Hammer will continue to strike and I can count on sitting in this spot, under His chisel until He feels it’s time. I’m done. I’m ready. Then, I’ll go Home. Not to an earthly home, but to my heavenly home. All the while the chiseling and hammering is happening, work is being done, through me and on me. He will use me however HE sees fit….just as He will YOU when you say “yes, LORD, I’m willing”. In the meantime friends, please pardon the dust. He’s still working on me. © Angie Knight 2017. All rights reserved. 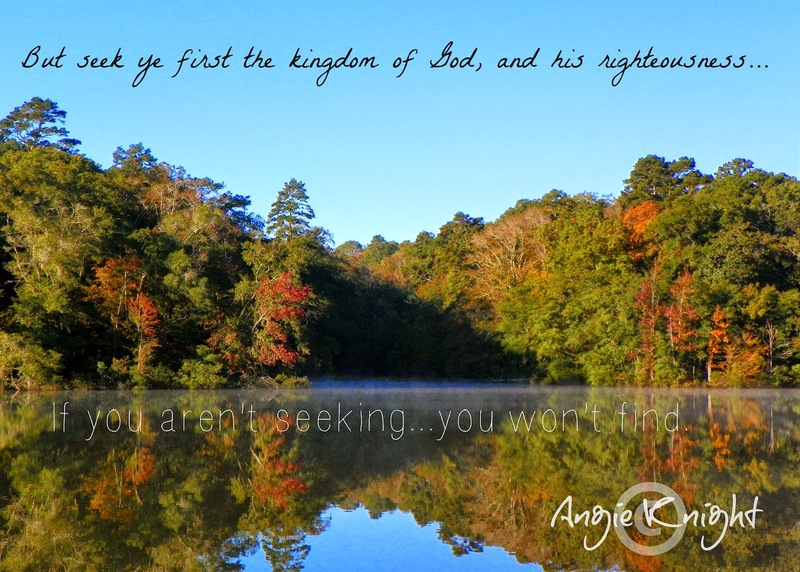 All Photography © Angie Knight unless otherwise noted. Is it me–or is it Odd? Not bad odd…just odd odd. Yeah, that makes perfect sense. It’s the “odd” sort of things that cause me to pause in my thinking, go back and dig in my prayer journal where I record prayers, thoughts, answers, Scriptures—because when I backtrack to what I’ve asked Him…I find that months later, there’s the answer in front of me—via Word from God through the Word…a scene that stares back at me from across the lake, through a message preached…or through a person– and most always most of those combined. Side note: I had the BEST surprise this week. A monetary gift from Cindy M. from California to purchase BIBLES to carry to Bolivia! I was thrilled! God is faithful to His promises! If you want to get in on the action or find out what I’m talking about –go here: Bibles and School Supplies for Bolivia! Side note end. This is from a past devotion. I’m not even sure of the date—but the “odd thing” was I happened on it by accident today… I wasn’t looking…I promise. Can I just tell you that on the day I read this one…it hit me square in the eyes. For several reasons. 1) I had missed doing my devotions in my Oswald Chambers book for a few days. I read other things…—but when I picked my book back up, I flipped first to the “day at hand”. “SMACK”. Right between the eyes. My mother always told us, “Actions speak louder than words”. Yes. I know. A mother’s wisdom. It is alright to wait before the Lord to get the instructions…or the road map—but there are times, when He bids us go–have faith in Him and go—and He directs us step by step. Wanda’s favorite verse was Psalm 27:14. Wait on the Lord. As you are waiting “before Him”…meaning on your knees, in your prayer closet, or on your face, in your private devotions, He is doing the strengthening. He will be your strength. When you feel you have gone your absolute limit….give it up. To Him. And when He answers, however He may choose to answer, give Him all the praise. It’s really odd how things are coming together…For you too? Photo: Kolomoki Mounds State Park © 2013 Angie Knight-All rights reserved. 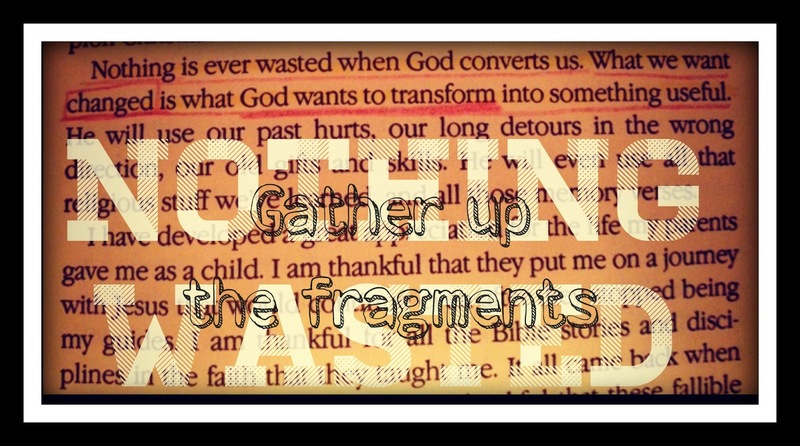 The last Sunday of June, Doug Clay, General Treasurer of the AG, brought a message that struck and stuck. If you would like to listen, go to the church website and click on “Hanging Out In God’s Waiting Room”. I don’t know if you remember, but that was the only blog post my sister, Wanda, and I wrote together. It was originally on our site, Sisters of Faith, with the title “God’s Waiting Room“, and it was also featured on her funeral service guide. I had created that blog site so in hopes that it would revive her weary heart with something fun and inspirational to do before her last hospital visit–but God had other plans. Although our lives were dramatically altered, we know His plans are always best…His timing and order always flows in the right direction. And we carry with us, the faith that bore her on. Sorry to side track–it happens at my age, more often than not….But back to the message by Bro. Doug. It was one of those that resonated in my spirit. I heard– as much as felt the vibrating of the strings as my heart was plucked along with the words, as God began to remind me of the journey we began. I had almost forgotten. No, not really, but as I told a friend — there are days that the memory of what He called me out for is faint–covered with a mist- or fog–like your bathroom mirror after a hot shower–wipe it off. Now. Can you see…and remember. His promises are true. What He said He will do–He will do. If He has called you to a place–He expects you to follow Him. No dawdling on the road side. Time is short. Get busy with the gifts He has given you and be contentious with His resources. Faith is believing without the basis of proof. A missionary cannot prove to you that God spoke to their heart and called them to serve Him in a foreign land (foreign to them, may not be foreign to you)…but they believe and therefore they put their belief into action. Maybe the facts are not in your favor…but Faith is. 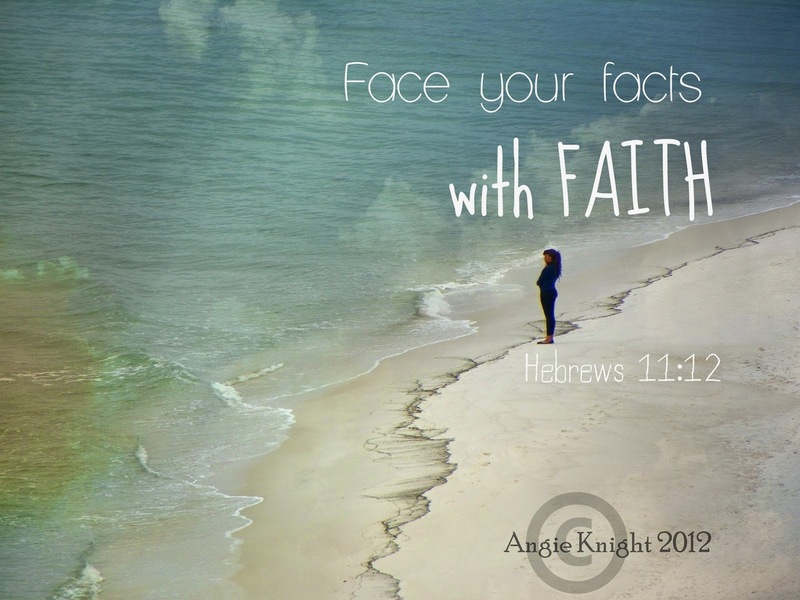 Face your facts with faith*. Watch God in action. *Statement from Doug Clay’s message, “Hanging Out In God’s Waiting Room”. Photo: 2012 Retreat-Panama City Beach. © Angie Knight. Used by permission.